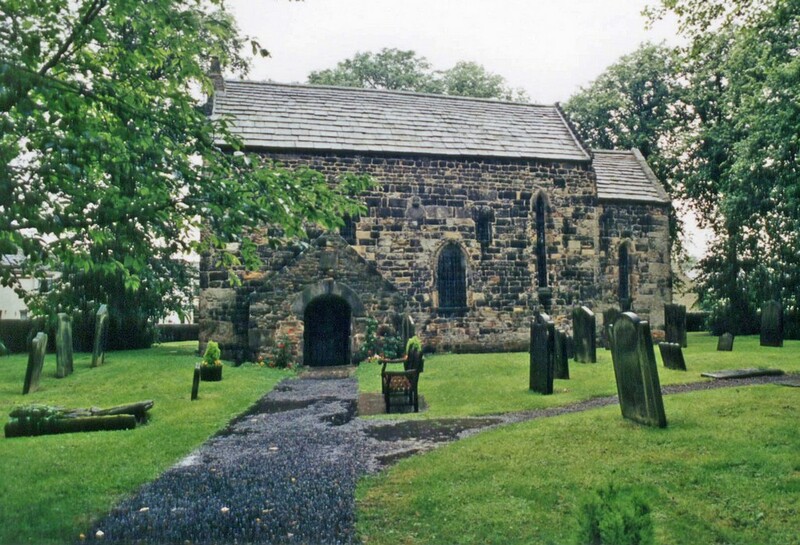 A few miles south-west of Durham is Escomb, a small village that would be totally unremarkable except that it has one of the best-preserved Saxon churches in Britain. 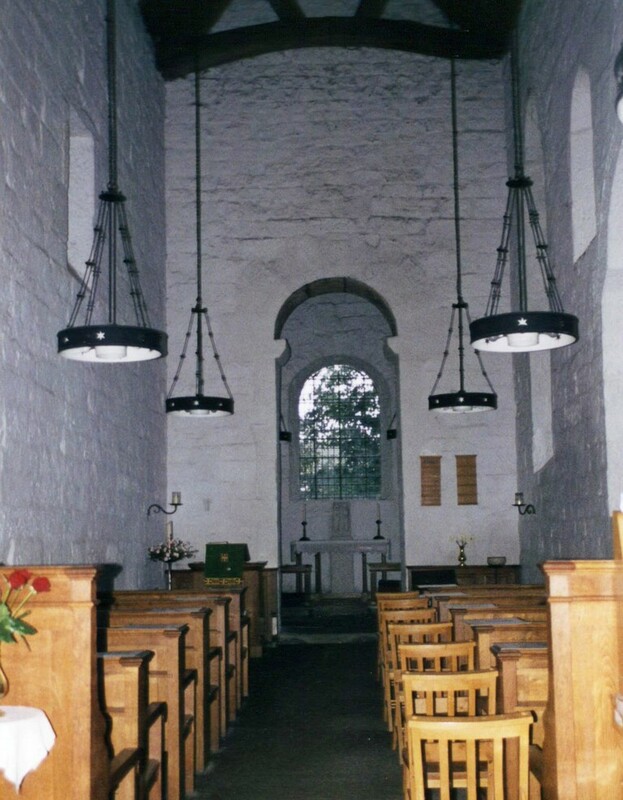 The interior of Escomb Church. 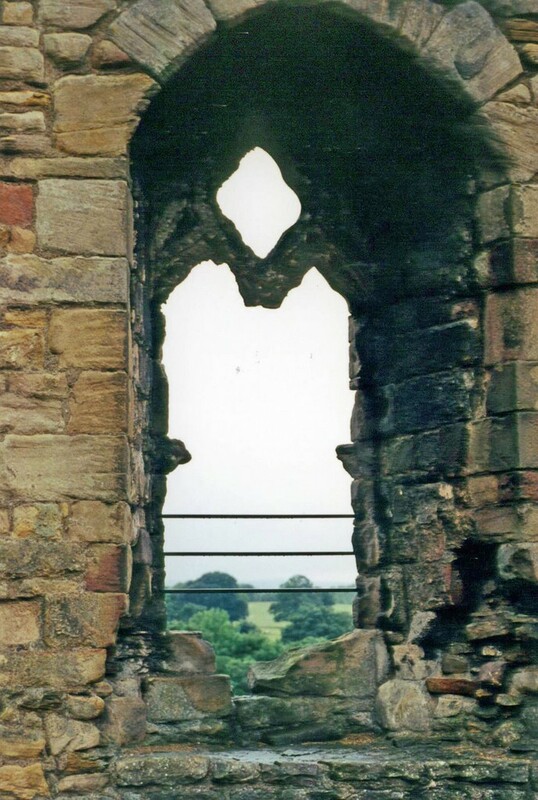 This building has been used for worship for well over 1000 years and somehow, something has rubbed off. It is a very special place. 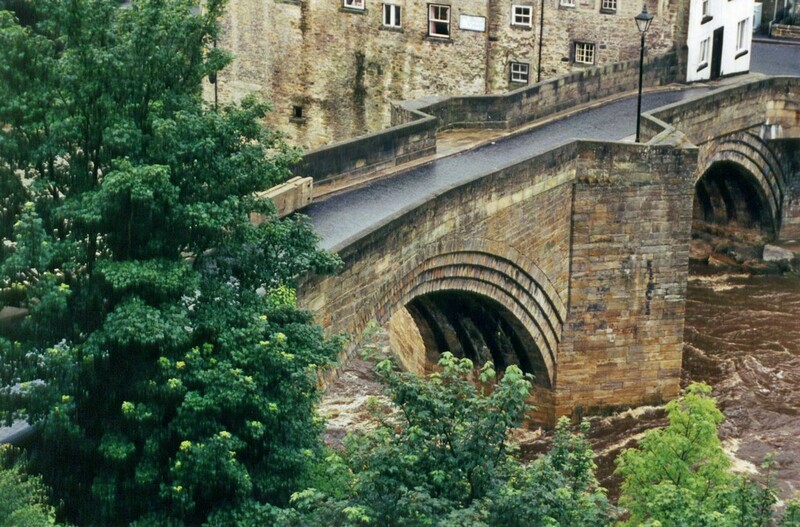 The old bridge over the Tees at Barnard Castle, with the swollen river pounding underneath. 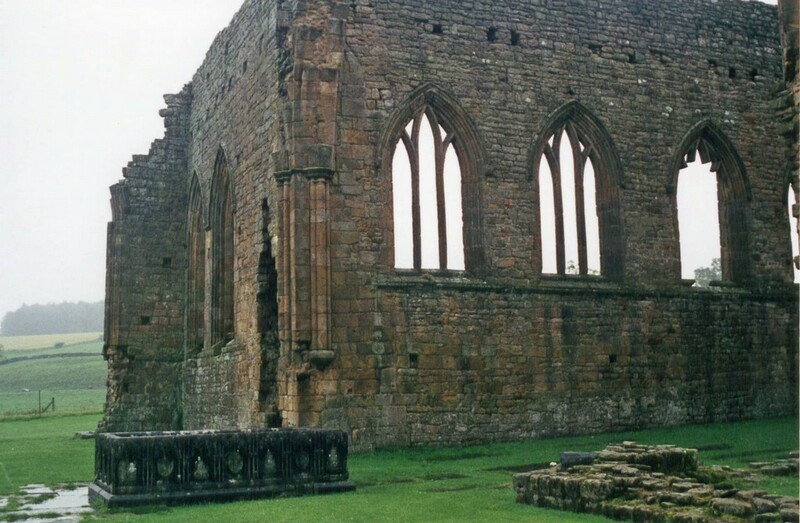 Egglestone Abbey, just south of Barnard Castle, in wet and soggy condition. 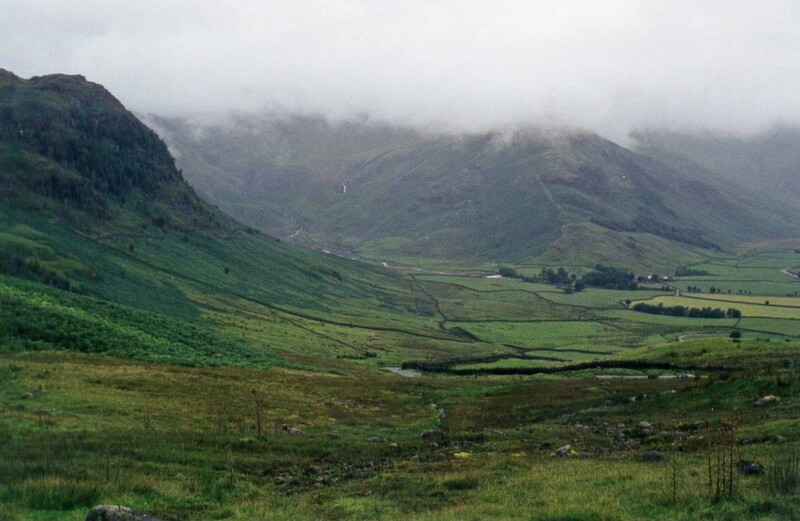 Heading west, we went through the Lake District, passing near Elterwater and Langdale Pikes. 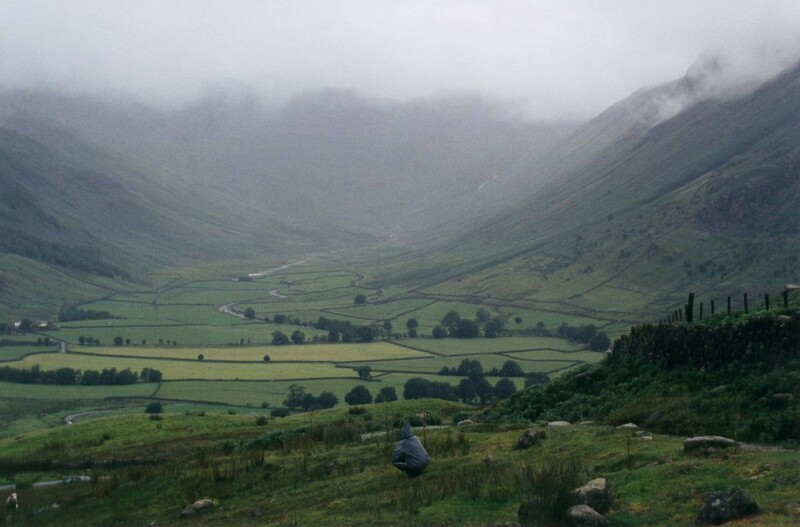 And then over Wrynose Pass. 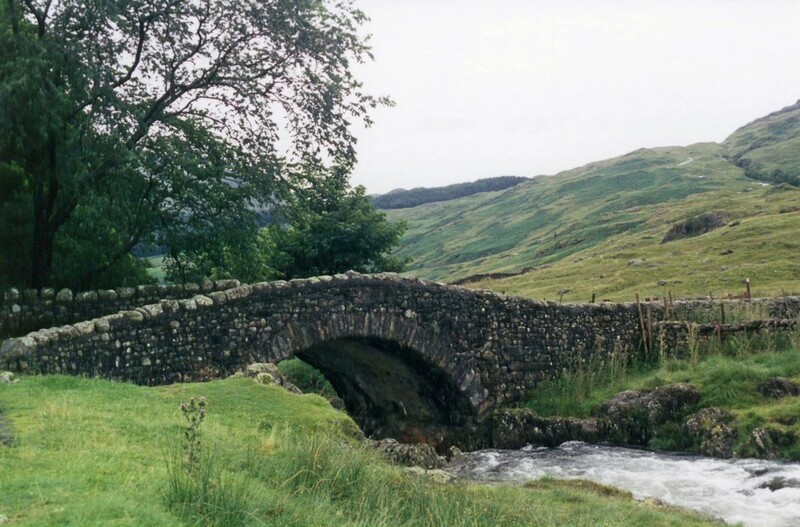 The bridge at Cockley Beck, between Wrynose and Hardknott Passes. 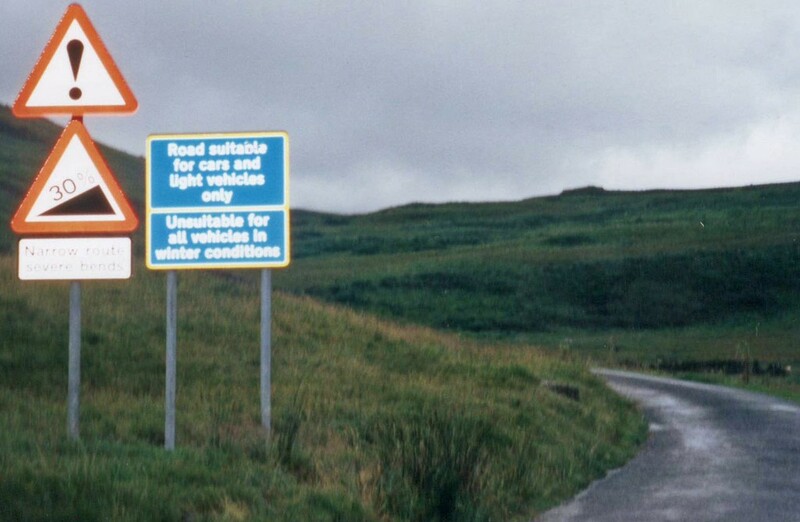 A poor photo, but it shows the warning signs at the start of the road across Hardknott Pass. That bit of bitumen to the right of the photo is the road over the Pass. 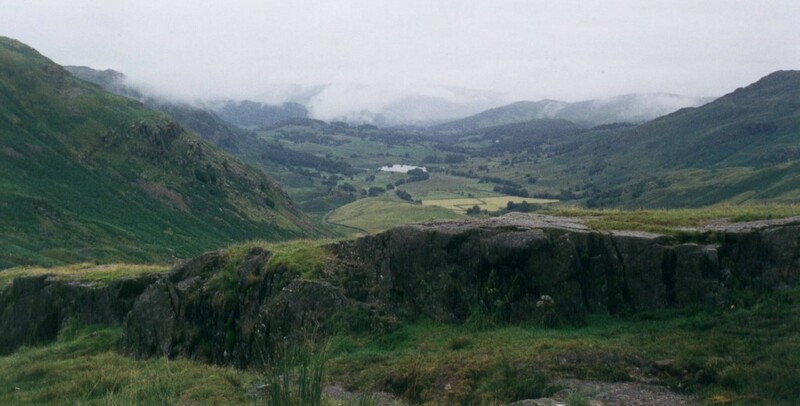 View going over Hardknott Pass. 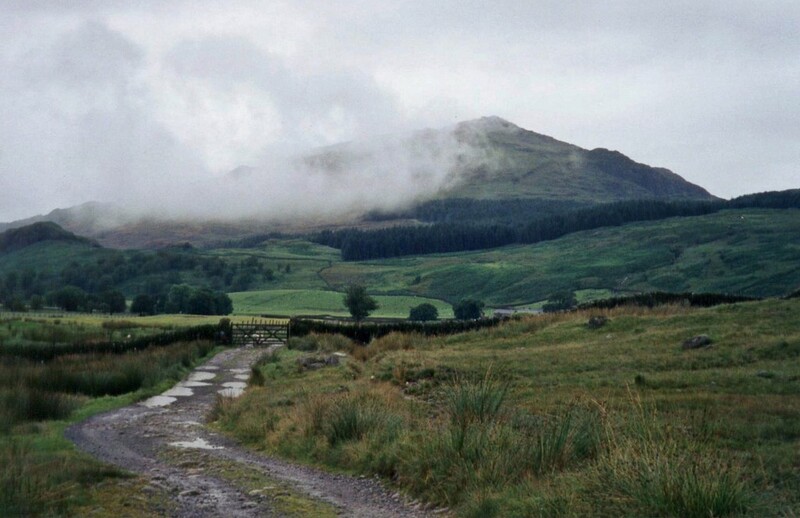 This time, the track in the foreground is not the road we had to take! 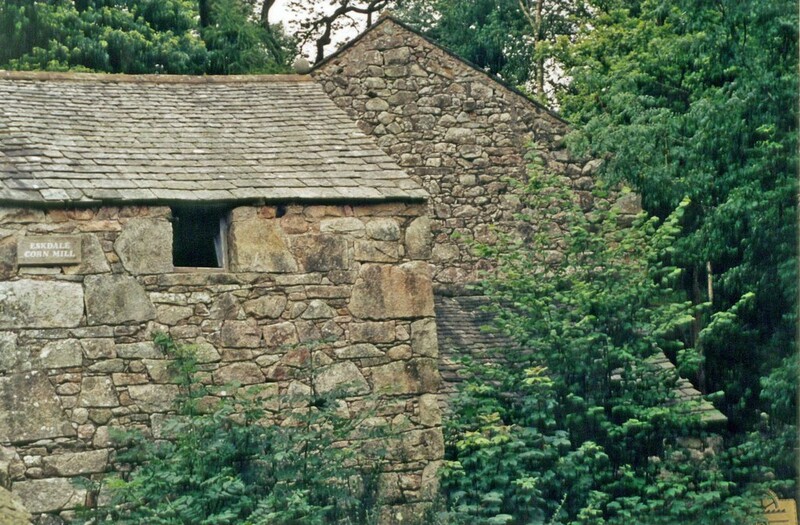 The old Eskdale Mill at Boot. 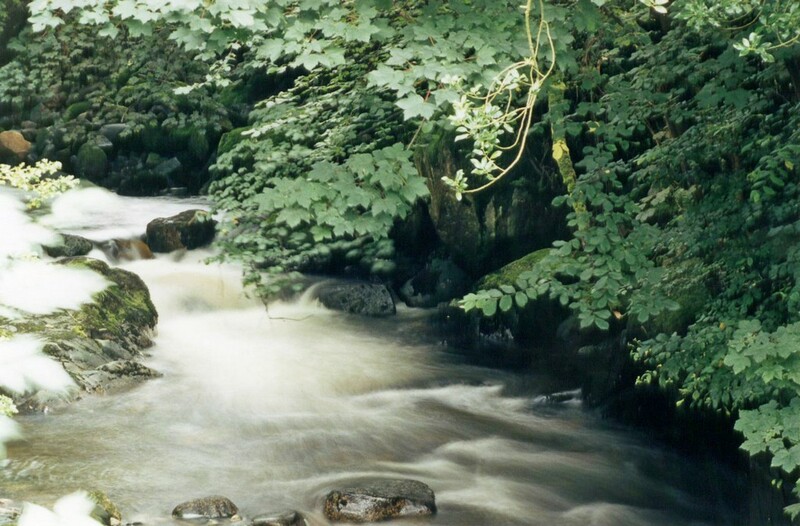 And the mill stream, flowing swiftly from all the rain. 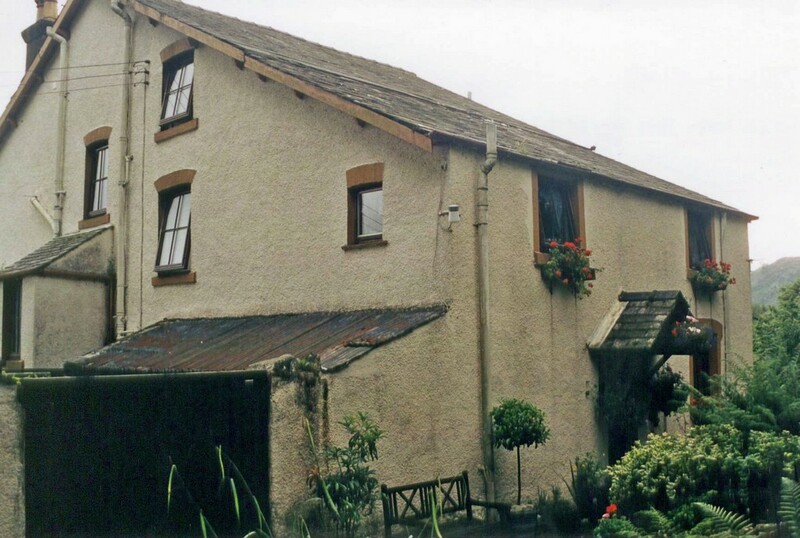 Our B&B at Eskdale Green: more than 200 years old, and used as a guest house since it was built. After a night in Eskdale, we moved on towards Pant, in the Welsh Borders.